As India resisted pressure from the US and China, who are responsible for around 40 per cent of the world’s carbon emissions, to ratify the Paris climate deal this year, Chinese official media said it is high time India showed it means “business” in limiting climate change effects. The US and China’s ratification of the Paris climate deal have set an example for “other emerging and industrialised economies”, an oped article in the state-run Global Times on Monday said. “It is high time that the EU and India, the third - and the fourth-largest emitters, also show they mean business when it comes to limiting the effects of climate change,” it said. 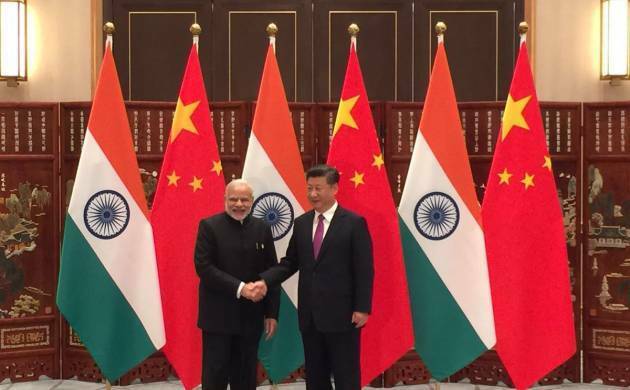 India warded off pressure from China and the US at the G20 summit in China when the US and China tried to set 2016 as a deadline to ratify the climate deal after they both ratified the pact and handed over the instruments to the UN. India and several other countries believe they cannot ratify the deal due to various legal impediments, said NITI (National Institution for Transforming India) Aayog’s chief Aravind Panagariya, India’s Sherpa at the Summit, on Saturday. “There is no deadline to my mind but we will make submissions of progress,” Panagariya has said. Today’s article said the US and China signing the deal is an “incredibly significant act towards the treaty coming into force, as it requires at least 55 countries that together account for at least 55 per cent of global emissions. With China and the US, 26 countries have ratified, accounting for 39.06 per cent of global emissions,” it said. “It’s fair to say that India has realised the importance of emissions reduction and has made some efforts. Before the Paris climate conference in December 2015, New Delhi submitted a long-term plan to reduce its emissions, pledging to cut fossil fuel emissions intensity by up to 35 per cent by 2030, compared with the 2005 level”, it said. In June, Prime Minister Narendra Modi had said in a joint statement with US President Barack Obama that India had begun the processes to enable the Paris deal to enter into force, it said. “But while (UN Secretary General) Ban Ki-moon was ‘hopeful and optimistic’ that the agreement can be brought into force by the end of this year, Indian officials don’t seem to think this way. After all, New Delhi has a dilemma to address,” the article said. “China has gone through a similar development stage to India and it still has made significant commitment towards curbing global warming. India has striven to become a world power and to have a bigger say in international affairs, hence it needs to shoulder its due responsibilities and take actions, regardless of the difficulties, to help save the planet,” it said. “In this process, China can be a reliable partner. In its proposal last year, India pledged to aggressively ramp up its production of clean energy like solar power, hydropower and wind energy. This entails the transfer of proper technologies from other countries and China can provide a lot of useful technologies and experiences,” it said.